NIA CHARLESTOWN NEVIS (DECEMBER 01, 2015) — Life has been made a little easier for fishers on Nevis now that they have greater access to reasonably-priced fish pot wire. Minister responsible for Fisheries on Nevis Hon. 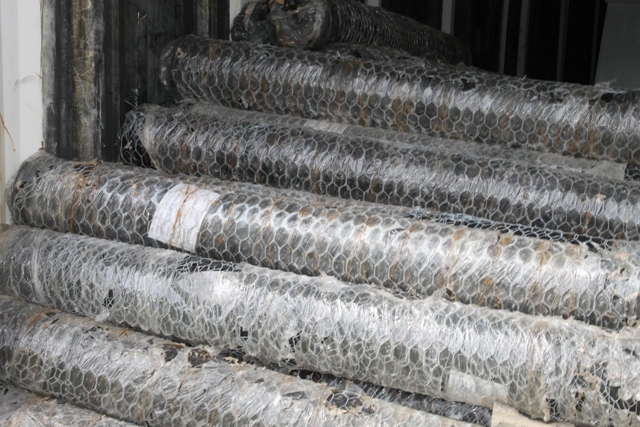 Alexis Jeffers who is also the Chairman of the Nevis Housing and Land Development Corporation (NHLDC), recently announced that a third shipment of wire was available through the corporation. “We have two different sizes of wire. We have the 5 ft. and also the 6 ft. They are both 100 ft. long. This is the wire that the fishermen would normally buy which are the inch and a half gauge. The 5 ft is at $840 per roll and the 6 ft is available at $900 per roll. “Compare those prices to others on the island, it is almost half the price,” he said. 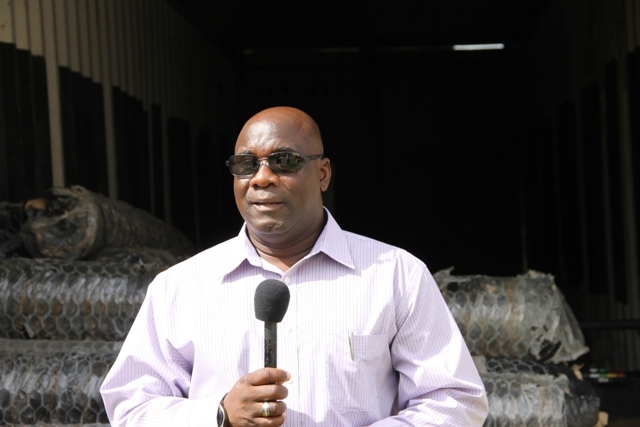 According to Minister Jeffers, providing fish pot wire to fishers on Nevis over the years had been a challenge and the Fisheries Cooperative in Charlestown has not been in a position to financially sustain that type of business. He said the NHLDC became involved to fill the void in the interim till the cooperative can afford to provide the fish pot wire, to ensure there was a supply on island. Mr. Jeffers said as the Minister responsible for Fisheries on Nevis it was incumbent on him to do whatever was necessary to make life easier for the fishers. However, from the NHLDC’s standpoint, Mr. Jeffers said providing the wire did not mean a large profit. “We do not make that much of a profit. Whatever is made is enough to pay for the handling cost and the man power that goes into stocking and selling these fish pot wires. “What I can say though, is the complaints that existed before where persons would have had inferior wire bought in the past, that is no longer the case since we have found a reasonable market and a market where we get quality wire and of course the fishermen can now go and ply their trade without any stress or difficulty in sourcing those wires,” he said. In return, the Fisheries Minister said he expects the fishers to continue fishing and to keep the cost of fish on the Nevisian market down, considering that the price of gasoline is also reasonable.